Indica or sativa? Without a doubt, a rose by any other name would be just as sweet, yet there is quite a bit of a difference between indica and sativa, which we’ll delve into here. The effects of the use of this narcotic vary from person to person. However, biology isn’t the only factor. In fact, the types of marijuana used is even a more decisive one. 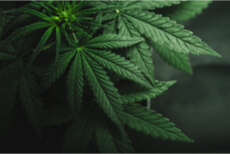 The effects marijuana has on the body are far milder than those of prescription painkillers; however, they also differ for various marijuana strains. How much does medical marijuana cost? Does the type of the plant affect the price? Basically, the prices on this drug vary for different states and manufacturers. Some of the pot strains also differ in prices due to the peculiarities listed below. Jean-Baptiste Lamarck published a description of what he called Cannabis indica in 1785. Richard Evans Schultes described it as conical, relatively short, and densely branched, and Loran C. Anderson described the plant as having short, wide leaves. Plants conforming to these descriptions are likely to have originated from the Hindu Kush mountain range in India. This strain is well-suited for cultivation in temperate climates due to the weather typical of those areas. The plants rarely exceed six feet in height. They are distinguished by their short flowering cycles and fat leaves. This strain produces a “body buzz” and is used to treat insomnia, anxiety, and chronic pain. For those wondering “Does marijuana kill brain cells?” – Cannabis has no proven neurotoxic effects. However, there are certain negative effects on the brain, especially in teenagers. These strains have higher cannabidiol content and lower THC content compared to sativa plants. These include blueberry marijuana, fat banana, G 13 marijuana, royal cookies, and Girl Scout cookies marijuana. The short, branchy bushes bloom in 8-9 weeks. They release a biscuit aroma, hence the name, and are characterized by a sweet, pleasant flavor. However, this strain is also known for its heavy physical effects. It is also a favorite for marijuana tea. This strain was classified by Swedish botanist Carl Linnaeus in 1753. The word means “cultivated” in Latin. Originally cultivated in countries near the equator, these plants like hotter climates with a lot of sunshine and longer daylight hours. These plants usually grow to an average of 10 feet. However, they can exceed 20 feet. The buds of this plant are bigger, looser, and less dense than those of the indica. They have long, thin leaves and take longer than indica to grow, but when they do, they generate huge yields. The buds are airy and light. Many users prefer sativa plants because of its mood-relieving and energizing effects. Many praise its ability to relieve depression and relieve pain. When it comes to sativa vs. indica, the former is commonly associated with improved mental focus, clarity, and creativity. It has been said to enhance productivity and countering fatigue during the day. The main difference is that sativa are better suited for daytime use due to their energizing effect. It is lower in cannabidiol content and has higher THC content. Popular strains include Sour Diesel (sativa-dominant), a fast-acting compound that smells like diesel fuel and has an earthy flavor, lemon haze (lemon slice flavor), and green crack. In addition to pure varieties, hybrid varieties with diverse ratios of these three types are common. These varieties exhibit properties of sativa and indica types. For example, the White Widow hybrid contains about 40% sativa and 60% indica ancestry. Hybrid varieties exhibit traits from both parental types. There are also commercial hybrids, which contain a mix of sativa, ruderalis, and indica genes. These are usually auto-flowering varieties. Hybrid varieties are bred by pollinating a female marijuana plant with male pollen. This can occur naturally, but the intentional creation of hybrids typically entails selective breeding in a controlled environment. Auto-flowering cannabis varieties have the benefit of being discreet due to their small stature. They also have the extra of not relying on a change in the photoperiod to determine the time of flowering and require shorter growing periods. As hybrids contain a mix of sativa strains and indica strains, they can take on physical characteristics from both strain families depending on their lineage. To find a hybrid that works best for one’s specific pain, a marijuana strain guide can prove indispensable. Generally, sativa-dominant hybrids produce a relaxing sensation that allows a person to unwind both mentally and physically. They can also be helpful in alleviating headaches and reducing the likelihood of a seizure. Balanced hybrid marijuana use entails a 50/50 combination of both families. Some hybrids can be excellent for stimulating the appetite, improving mood, or stimulating creativity. 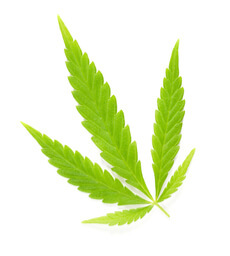 The choice of marijuana accessories also influences the effects of the plant. A combination of hybrids from multiple locations worldwide has produced a line of “Haze” marijuana strain names. These varieties are grown mostly for the medicinal marijuana market. They consist partly of ruderalis strains, which don’t taste very well and are lower in THC, due to which recreational cannabis users don’t appreciate them very much. One of the early auto-flowering hybrids that sustained the flowering behavior of the ruderalis strain was Lowryder. It also had relatively high amounts of THC and CBD. Blue Dream marijuana is a popular hybrid strain widely used for both recreational and medical purposes, which was first developed in 2003. Charlotte’s Web marijuana is a low-tetrahydrocannabinol (THC), high-cannabidiol (CBD) weed extract marketed in the US as a dietary supplement under federal law. The Stanley brothers in Colorado produce it. Apart from blue marijuana and Charlotte, other popular strains include Acapulco Gold, a golden-leafed strain hailing from southwest Mexico’s Acapulco area and Bedrocan, a medicinal cannabis variety grown from a mostly sativa strain in Holland. Bedrocan has a standardized content of THC and CBD. At this time, it is being cultivated by Bedrocan Canada, Bedrocan Nederland, and Bedrocan Czech Republic. It was first introduced around 15 years ago and is dispensed through pharmacies. Of course, one needs a cannabis prescription from a doctor to obtain this popular variety. All these pale in comparison to Gorilla Glue marijuana, one very powerful variety that is likely to result in marijuana hangover if consumed too much. The genetic lineage of black marijuana is unknown to prevent copying. This is the strongest and most potent hybrid weed variety. It is believed to have originated in California and Vancouver Island in Canada, but this isn’t certain. Its lineage does span across both Canada and the US, adding to the mystery. It will remain unrevealed for many years to come. Ruderalis originated from Russia. Originally classified by the Russian botanist D.E. Janischevsky in 1924, its name comes from the word “ruderal,” a description of a species in the plant world that grows in spite of human intervention and is able to adapt to extreme weather and dramatic climate changes. The botanist noticed that the appearance of this species differed from those of both sativa and indica. It grew up to a maximum of two feet and had a wild, unkempt shape without branches. A 2004 study analyzing 157 different cannabis samples of all types and geographical origins substantiated Janischevsky’s findings. The study found six of the plants weren’t related to any other known varieties. The researchers concluded that these were ruderalis plants. For those wondering “Is marijuana a narcotic if it is based on a ruderalis plant?” – all the types and strains of cannabis are legally defined as narcotics. 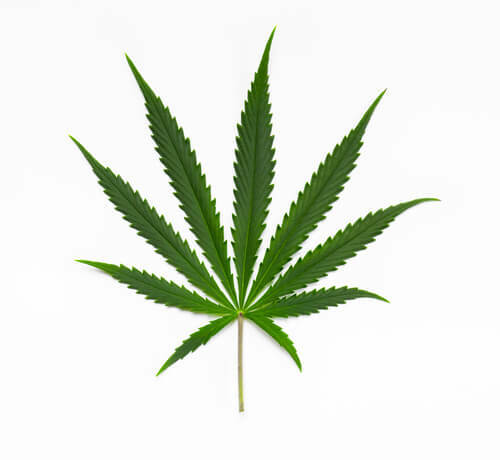 Cannabis ruderalis are the smallest of all weed varieties, rarely growing over two feet. Plants have little branching and thin, slightly fibrous stems. The foliage is usually open with large leaves. However, this variety matures much faster than other species, rarely for more than six weeks from seeding. One of the little-known facts about marijuana of this variety is that its short life cycle and stability make it versatile and attractive to breeders who want to benefit from its auto-flowering trait. On the downside, its effects are minimized by its inherently low concentrations of THC thus lowering the risks of weed side effects. However, its higher CBD concentration makes it invaluable to patients looking to treat epilepsy, severe anxiety disorders, or severe appetite loss. This strain is also being used as part of multiple sclerosis and even cancer therapy. 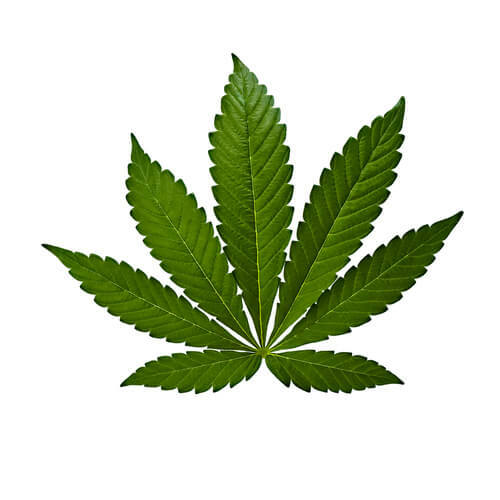 Unlike other marijuana types, cannabis ruderalis does not enter the flowering stage based on its light cycle, but on the maturity of the plant. One can keep other varieties in the vegetative state indefinitely by ensuring a long daylight cycle, but this type of marijuana will enter the flowering stage no matter how long daylight lasts. Pure ruderalis may not be popular, but many of its hybrids are. The two most prominent are Royal Dwarf and Royal Haze Automatic. They are both sativa-dominant. The former is a compact strain with tight buds, which looks like a bonsai to some extent. This makes it ideally suited for indoor or micro growing. It has a deeply relaxing, uplifting effect. With respect to medical use, patients with a history of substance abuse and individuals in controlled environments are prone to abusing this drug. A qualified professional will employ a wide variety of substance abuse treatment methods and raise the patient’s awareness of warning signs. A well-thought-out treatment plan should be developed when misuse is detected, including an aftercare plan. Inpatient addiction rehab can play a pivotal role in the outcome in more severe cases. In light of the specific dangers drug abuse can bring, especially in the case of comorbid disorders, a treatment facility should be able to offer 24/7 support, which inpatient or residential rehab centers do. Suicidal thoughts are a red flag among depressed patients and these need to be addressed with priority when reported. We can help you or your loved one overcome drug abuse. Call us now at 24/7 hotline (888)-459-5511.